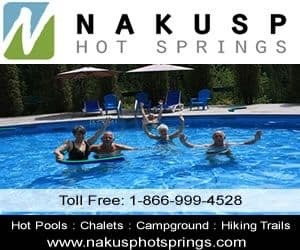 Nelson BC, Canada is located on the shores of Kootenay Lake, surrounded by glaciers, natural hot springs, lush forests and the Selkirk, Monashee and Purcell Mountains. The Community is well known for its activities, artisans and for its restored buildings. Activities most enjoyed in Nelson & Slocan Valley and the surrounding areas include hiking, golfing, mountain biking, boating, kayaking, canoeing, fishing, boating, rock climbing, ATVing, off roading, sailing, SUP, zip lining, spa experiences, river rafting, paragliding, and skiing, snowboarding, xc skiing, snowshoeing, heli skiing, cat skiing and sledding (snowmobiling). A few of the more popular activity and sightseeing park and trail destinations located in Nelson & Slocan Valley, British Columbia and the surrounding areas includes the Fletcher Falls Hiking Trail, Cottonwood Falls, Kootenay Lake, Kokanee Creek Provincial Park, Sproule Creek Trails, Gyro Park, Kokanee Glacier Provincial Park, Lakeside Rotary Park, Cottonwood Lake Park, Grohman Narrows Provincial Park, Whitewater Ski Mountain, Waterfront Pathway, and the Old Growth Hiking Trail. The most visited sightseeing attractions, art galleries, historical sites and cultural venues in and around Nelson & Slocan Valley, British Columbia include the Touchstones Museum, Nelson Mining Museum, Bank of Commerce (1907), Capitol Theatre (1924), Bank of Montreal (1899), Post office (1902) and the Nelson Daily News (1899). Travel services important to travelers in and around the community of Nelson & Slocan Valley, BC includes accommodations (hotel, motel, inns, vacation homes, cottages, resorts, lodges, bed and breakfast, rental suites, hostels), tours, guides, campgrounds, pubs, restaurants, gas stations, gift stores, breweries, wineries, liquor stores, grocery stores, coffee shops, cell service, internet, banks and transportation services including taxi, marina and bus. eh! Plan Travel to Nelson, BC, Canada today.